We used every fiber of our being to avoid it, but it just cannot be helped and the pun must be made... man, we dig this pedal! The Dig by Strymon is absolutely inspiring, capable of everything from luscious soundscapes of ethereal noise to a sonically pristine and clean digital delay myriad. The modulation is a perfect feature to really hit the nail on the head with the vintage 80's inspired theme, and it sounds great on all settings. Being able to separately control the mix of each individual delay and choose the delay voicing gives you access to a plethora of sounds most single stompbox pedals only dream of. This pedal is equally good on keyboard and vocals as it is on guitar and to be simply put, it's just an incredible inspiration machine. As soon as it landed here at the shop the entire guitar department found ourselves secluded in an office each taking turns trying out the dig - and it'd be an understatement to say we were blown away. Damage Control was founded in 2004 with the release of our line of tube-driven effects pedals, which earned critical acclaim and became favorites among guitarists across the globe. In 2009 we teamed up with Strymon to begin co-developing products, and the rest is history. 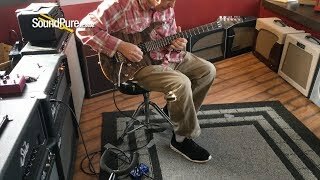 In this video, Sound Pure guitar specialist Eddie Berman does a quick test of a stunning Anderson Tot T Short Burnt Caramel electric guitar. 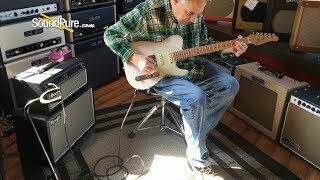 In this video, Sound Pure guitar specialist Eddie Berman is testing out a wonderful Tom Anderson T Icon Trans White in Distress. 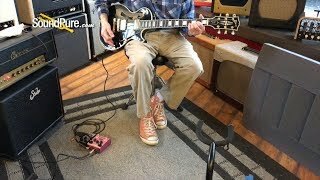 In this video, Sound Pure guitar specialist Eddie Berman is testing a legendary Gibson '81 Les Paul Custom Black. 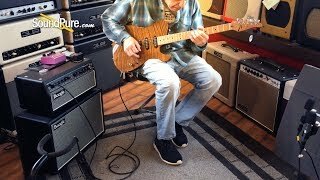 In this video, Sound Pure guitar specialist Eddie Berman tests out a Suhr Classic T Trans Butterscotch HS electric guitar, played through a Mesa Boogie Fillmore 50 1x12 Combo amp, and a Strymon Dig Dual Digital delay. 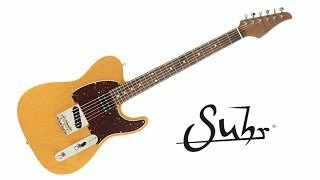 In this video, Sound Pure electrics specialist Eddie Berman tests a used, throaty beast: the Suhr Modern Trans Blue Denim Slate Electric #28443. 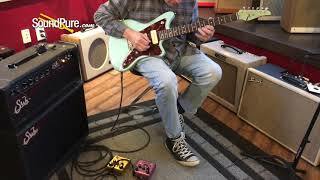 In this video, Sound Pure electric guitar specialist Eddie Berman plays an Anderson Raven Classic through a Suhr Bella amp, Strymon RIverside pedal, and a Strymon Dig pedal. 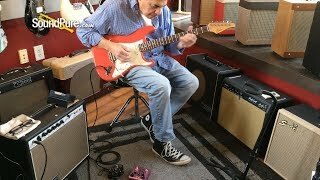 In this video, Sound Pure electric guitar specialist Eddie Berman plays the Suhr Classic Pro Fiesta Red SSS #JS2Y3A Electric Guitar through a Carr Amplifiers Sportsman 19W 1x12 Combo Amp with a Strymon Dig Dual Digital Delay Pedal and a Xact Tone Solutions Imperial Overdrive Guitar Pedal. 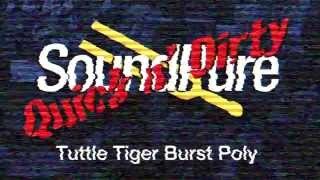 The Tiger Burst Poly just gorgeous! The clarity is above and beyond! The fretwork, like everything Tuttle touches, is perfect. The playability and feel is just what you'd want, it feels like an extension of your hands. The sound is extremely versatile with this guitar, you can get everything from Heavy Rock, Classic Rock, Jazz, and Blues. This guitar is available for SoundPure's Try-Before-You-Buy Program so if you want to hear how it sounds with your gear, shoot us an email at Electrics@SooundPure.com or call us anytime at 919.682.5552. Thanks for watching!